Residential care can offer more than physical assistance to the elderly, it throws many a social lifeline to re-establish their connection to the community. It is an new opportunity to experience the warmth and camaraderie of social interaction again. Some elderly residents in aged care facilities are initially reluctant to participate in social programs – let’s face it, whether you are eight or 80, making friends is always a bit daunting. There is no denying though that with a little encouragement, the rewards of making friends and getting involved in group activities can be huge. Unsurprisingly, studies have shown that friendships and social activities improve seniors quality and enjoyment of life. What is surprising is that it has also been shown that these can extend the length of their life by years! Social activities have even been proven to delay or lower the risk of many of the memory and cognitive issues associated with degenerative brain disorders such as dementia. 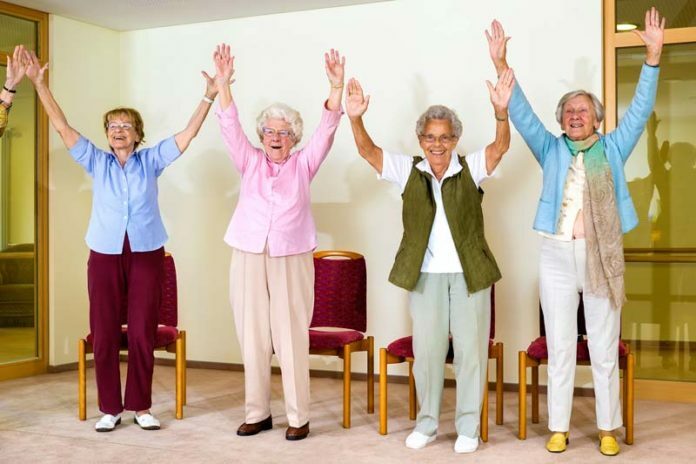 Let’s take a brief look at some proactive residential care programs available which promote socialisation, creativity and wellbeing in the elderly, along with a look at the far reaching benefits associated with participation. Benefits: Creative expression through making art in groups, boosts self esteem, motivation and social connectivity. It also builds a sense of achievement and accomplishment. Research has found that dementia and Alzheimer’s patients involved in art therapy, gain a new path for communication. A recent introduction to the aged care arena is pet therapy. Low maintenance animals such as chickens are proving to be a wonderful way for residents to socialise, form a bond with a pet and often connect them with aspects of their youth. Benefits: According to an article published on ScienceDirect.com, experiments with elderly patients in which groups were given a canary, a plant or nothing, proved the benefits of pet therapy. While those patients given a plant showed some benefits, those given the pet exhibited marked positive results on brief symptom inventory (BSI) and quality of life subscales. This proves that real psychological benefits can be gained through pet therapy, particularly in relation to depressive symptoms and the patient’s quality of life perception. Music is a common bond for people. It is a connection to our past and evokes many wonderful memories for elderly patients. Sing-a-long programs often involve the participation of children from local primary school; to the mutual benefit of all involved. Residents can be given the opportunity to play a simple instrument along with the music and much fun and laughter often ensues. Benefits: Singing is a common human enjoyment. It promotes social interaction, increases positive emotions as well as encourages self expression and creativity. Above that, singing and music can have positive benefits to people suffering Alzheimer’s disease. Anecdotal evidence shows that those suffering the effects of decreased brain function can often still remember words to songs or play music. Benefits: Interaction and socialisation with people of similar background, life experiences and demographic. Research shows that seniors who participate in cognitive exercises through board games or puzzles, were far less vulnerable to developing dementia than those who didn’t. Scrabble is particularly useful in reducing memory loss, retaining the vocabulary and enhancing word recognition. Growing older shouldn’t mean we lose our sense of fun or pleasure in the simple things in life. Residential care should be about nurturing both the bodies and minds of our senior citizens. Social activities are a vital part of that care – improving quality of life and making residential care a truly valuable and fulfilling experience.